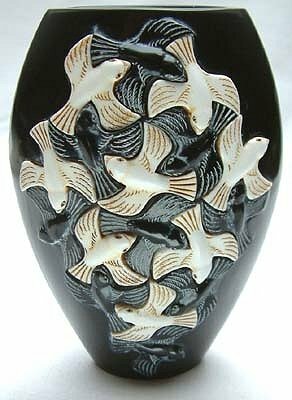 Adam has put in a lot of time and energy into this wonderful series of pieces. 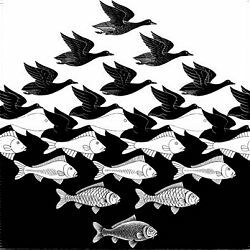 He has taken the visual concept put forth in graphics by MC Escher (An example shown here at left) and taken it a step further as a sculptural form. 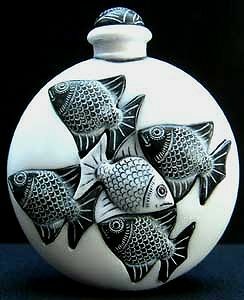 The results are very nice indeed. 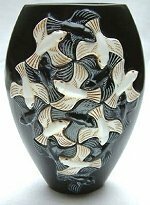 He will be adding additional designs featuring other animals so it will be an ongoing series like Eden that evolves in creation. 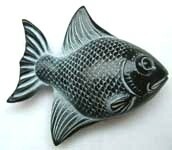 This is beautiful piece is made by a cast resin process. 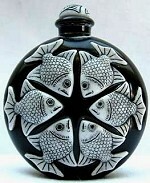 The White Marble Perfume Bottle is an open edition. 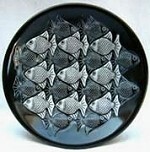 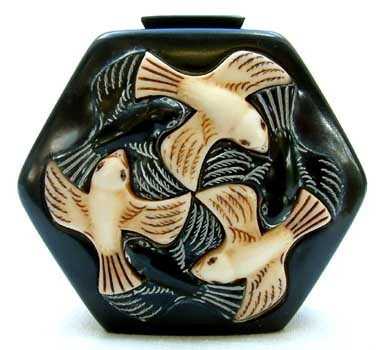 Small cast black bowl with a fish design. 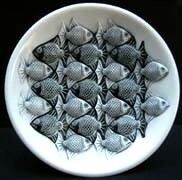 Small cast white bowl with a fish design. 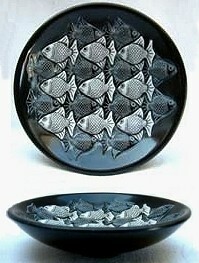 This piece can only be purchased by collectors who have purchased the black marble bowl.